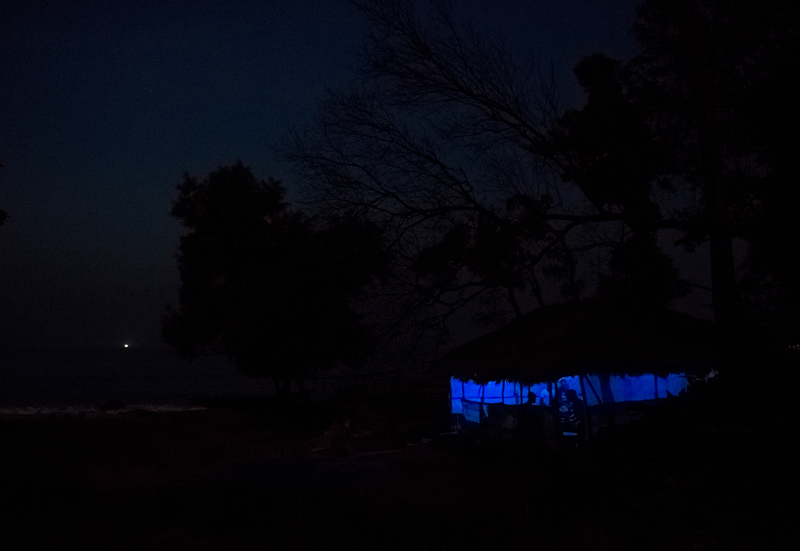 Local fishermen in John Obey gather at the village's only night club. In the distance, a light from a pirate boat can be seen. Almost every night, pirate fishing fleets can be seen on the horizon. Sierra Leone's severely depleted fishing stocks are a direct result of illegal, unreported, and unregulated fishing.